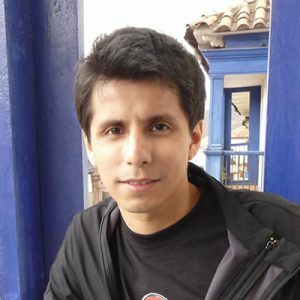 I’m Luis Larrauri, and I am a freelance web developer from Lima, Peru, currently living in Monterey Bay, California. I specialize in high quality front-end development and in building web sites using WordPress. I love clean coding, I enjoy problem solving, and I’m always focused on bringing the best web solutions to my clients to meet their goals. Here's a selection of my latest projects which are the result of my passion and dedication. My team and I had a fantastic experience building our website with Luis! Not only is he a creative genius, with amazing technical and artistic skills, but he's a pleasure to work with. The work he did exceeded our high expectations! Thanks to Luis I love my website and enjoyed the process of creating it. He was very responsive, thorough and truly understood what I was trying to accomplish… and he executed it! We had the privilege of contracting with Luis for construction of our organizational website. We could not have imagined how wonderful it would have turned out. Luis was very professional and took the necessary time to listen to our desires, goals and objectives. He amazingly took all our input and constructed a very dynamic and useful website for our organization. Furthermore he assured that our staff were properly trained in maintaining our site. He was very methodical in constructing a site that would totally meet our needs and those of our clients. I would surely recommend Luis' services to any organization looking to build a dynamic, modern and professional looking website! Luis has transformed our website into a work of art. His creativity, talent, passion and attention to detail is amazing. He took our mission and made it come alive! Luis is special and so is his work. Luis is absolutely fantastic to work with. I couldn't recommend a better website developer. When redesigning a website, there is a lot of back-and-forth communication. Throughout every step, Luis was patient with all requests/changes/suggestions. Luis is ultra responsive, has a great attitude, a good eye for design, and simply "just gets" what clients try to convey. On top of it all, Luis empowers each of his clients by showing them how to update their own website without the need to contact the web site developer for every small change. It was a pleasure to meet Luis and to know his work. He really did an outstanding job developing the webpage of my company. He is a very professional and knowledgeable web developer. He suggested very important tips for my webpage that I didn't have in mind. I recommend him 100%.